DETROIT -- Cadillac’s effort to transform its retailer network, known as Project Pinnacle, will cost $800 million in its first three years, the brand’s president, Johan de Nysschen, said Monday. Pinnacle, which starts April 1, overhauls how dealerships earn payments from Cadillac for meeting brand standards. Dealerships are divided into five tiers, largely based on their sales volume, with larger stores able to earn higher payouts by making larger investments in the brand. For now, Cadillac is running a simulated version of the program, allowing dealers to see how they would have done in comparison to their previous arrangement with the factory. In November, de Nysschen delayed the program’s start date by three months to give dealerships more time to earn payouts. Since the simulation began in October, de Nysschen said some dealerships would have seen their payout increase, while others would have earned less. The goal, he said, is that all dealerships earn more under Pinnacle, and in turn make Cadillac a stronger brand. De Nysschen said Pinnacle will cost $800 million more than Cadillac’s current dealer incentives, regardless of how many dealerships comply with the standards for their tier. That’s because Cadillac has committed to distributing any unearned funds among the dealers that did meet their targets. Pinnacle, announced in early 2016, has been criticized by some dealers and state dealer associations as unfair to smaller retailers and unlawful under some state franchise laws. De Nysschen has rejected accusations of illegality and, aside from some “fine tuning” and the delayed start, steadfastly moved forward with the program, saying Cadillac can not compete against other luxury brands without dramatic changes to its retail network. Of Cadillac’s 924 U.S. dealerships, 832 enrolled in Pinnacle by the Sept. 30 deadline. Those that declined accounted for only about 1 percent of the brand’s 148,367 units sold to retail customers in 2016. 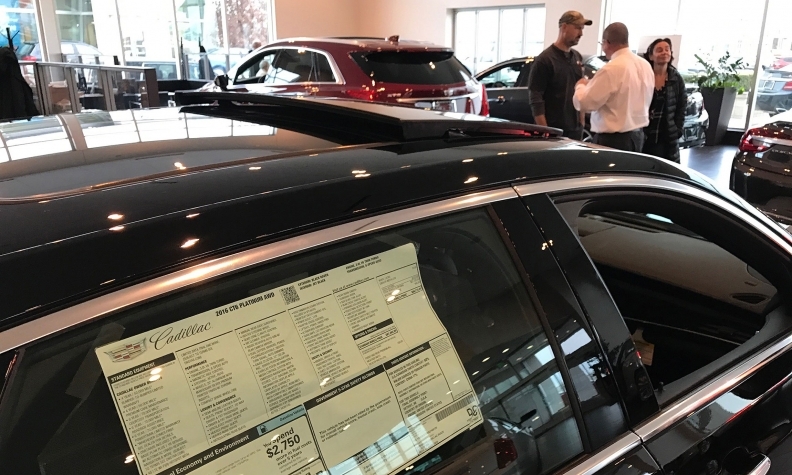 Fewer than 20 dealerships signed up for buyout offers of as much as $180,000, which were offered at the request of state and national dealer groups. De Nysschen said many of the complaints are based on misunderstanding the program and that he has been in contact with dealer groups that were upset about it.